Hello there......it's been a while hasn't it?! I'm sorry I've been missing in action- so much has happened, I don't know where to start. Let's just say that I got quite ill and rushed to the first place I could think of where I'd be nurtured back to health. My parent's place. So here I am in Dar es Salaam, Tanzania on my way to recovery. Nothing serious but thanks for all your messages of concern. I won't be blogging as often as I'd like from here as the internet connection is just too slow and forgive me for not commenting on your blogs for a while. Since I'm here in Dar es Salaam, I thought it would be apt to share with you one of my earliest memories of this place- accompanying Mummy at the crack of dawn to the fish market every Sunday morning. While the world slept, she bundled me and my sister into the car, our eyelids heavy with sleep. We drove the short five minute journey in silence, savouring the tranquillity before the storm. Any hint of tiredness quickly vanished when we reached the Dar es Salaam fish market. As we opened the car door, our senses were awakened with a bang. The cries of sea gulls competed with the drone of the fishermen, the scent of fresh fish competed with the salty sea air, the bustle of people weaving through the market competed with the enthusiasm of the fishermen as they hollered and tried to lure you to their stalls. And what a feast for the eyes. Faded boats gently rocked in the distance as fishermen were untangling their nets on one side whilst others were unloading fresh red snapper and king fish into ice boxes. The fishermen worked systematically in teams of three- the first would lure a potential customer to his stall, the second would show off the catch of the day and haggle a price. And the last would be sitting on the floor with an array of sharp knives surrounding him. Each knife had a specific purpose- one for scraping the scales, one for removing the skins, one for cutting through the fish. Mummy waded her way through the crowd to one particular seller. She was a regular at this stall every Sunday. For her, the process of buying fish was a ritual. The same ritual to be followed week in, week out. She would ignore all the fish that lay on the wooden table, swimming in ice and asked the fisherman for the 'real' and unseen treasure, the one the man hid under the table, reserved for special customers- customers who knew how to distinguish fresh fish. That was the easy part. It was the price haggling that both me and my sister dreaded. The fishermen would start off with an extortionate price and Mummy wasn't shy to to tell him off and counter it with a ridiculously low offer. This would go on for a few minutes with threats of walking off without buying anything and never returning from Mummy. Eventually, a mutual price was agreed and the fish was cleaned. I'm afraid we never watched that part as it was rather gruesome for a mere 9 year old. And so that was how our Sunday was spent. Of course, this was always followed by a lunch of fresh fish. Sometimes we would have a spicy fish biryani, other times it was pan fried in a coconut curry. 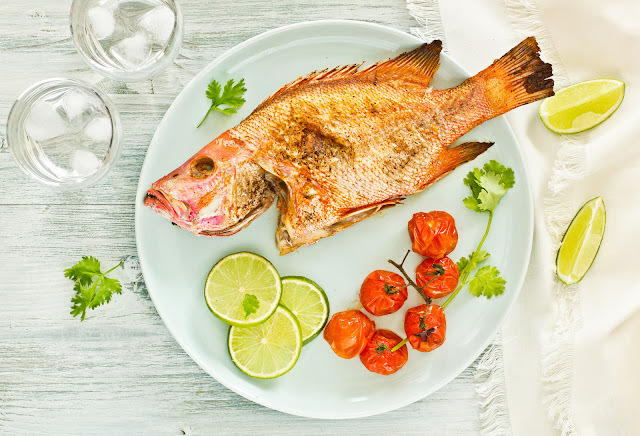 Today I'm going to share with you one of her simplest recipes- fish marinated with salt, chilli flakes and lime juice, then grilled to perfection. Crispy on the outside, moist and juicy on the inside. Mummy served this with a side of oven chips or roasted potatoes. Simple and spring like, exactly how fish should be eaten. Preheat the oven (grill function) to 200 degrees Centigrade. 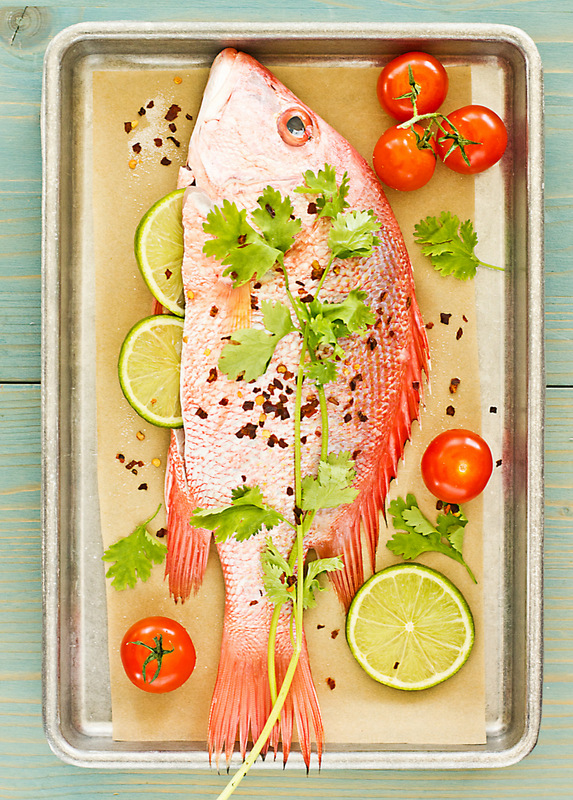 Sprinkle both sides of the fish with olive oil, lime juice, salt and red chilli flakes. Marinate the cherry tomatoes in balsamic vinegar and place on the same tray as the fish. Grill for 10- 15 minutes on each side. The cherry tomatoes will be done earlier so remove when they appear tender. Hope you are on the mend! Your pictures are beautiful! Hey welcome back! Clearly home inspires you! Love the sound of this dish, so refreshingly simple. i love whole fish grill .. love to even much on the crispy tail and back at home we make this amazing daal with fish head. I am missing home! Arvind cannot eat whole fish .. he will eat only if there is no skin and boring fillet!! You have fun out there and I will as usual wait for your next post. Looks absolutely delicious! I am a big fan of red snapper!! So sorry to hear of your illness and glad you're at home with your mom now and being well cared for. 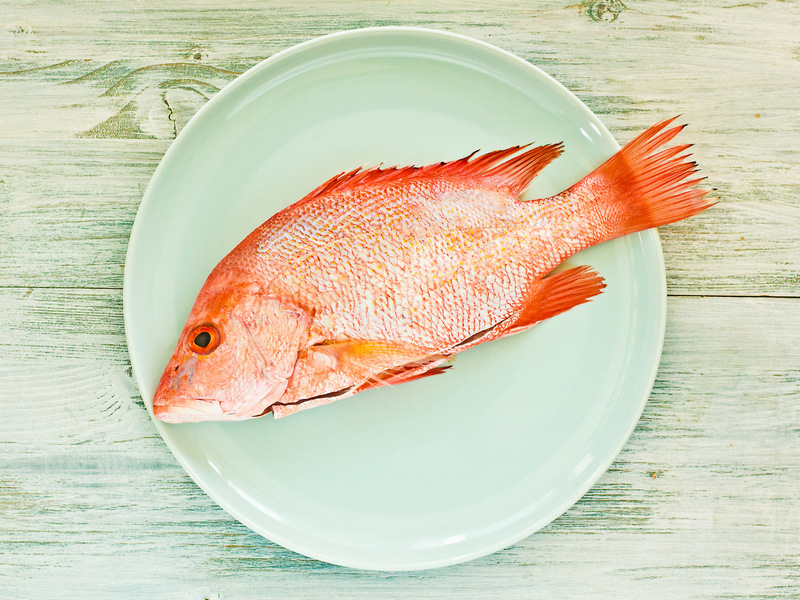 Love the memory from your childhood and great tips on picking fresh fish. Take care of yourself! So glad to hear that you're better and so happy you're back! Miss you're blog. Great photos... love the story. Hope you feel all better soon. Your pictures are just wonderful! I hope you feel better soon. May Allah grant you a speedy recovery and health. The pictures look amazing...love the story of the trip to the fish market! Love the story of your trip to the fish market. The pictures are beautiful. You sound a lot better too so glad to hear that. 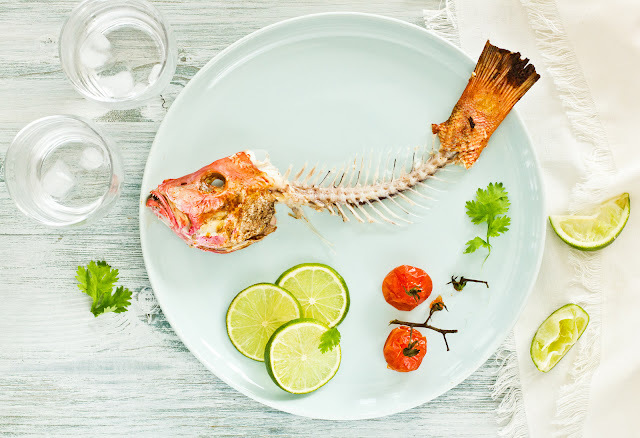 I loved this post, not just because of the beautiful grilled fish, but because it reminded me so much of my own mother. She was the expert haggler, and those tender teaching moments when she passed on that precious information on how to select the freshest fish are forever committed to memory. Beautifully written and photographed. Your post is beautifully written and photographed. Looking forward to more posts from you soon. I know these images ;-) Glad to see you checking in. Enjoy your time back home. Omg, marvellous well written and beautiful presented, feel like having some grilled fish rite now.. So glad that you're on the road to recovery. It's always refreshing for the soul as well as the body to return home, especially when we have lovely, supportive, nurturing parents, which I'm guessing yours are. As always, your photos are nurturing to my soul and inspirational as well! So glad to see that you're back. Enjoy your stay & keep well Sukaina..Eat,Love & Sleep :) All my life I wanted to live in a town by the sea.Your description of exactly that life is so overwhelming! 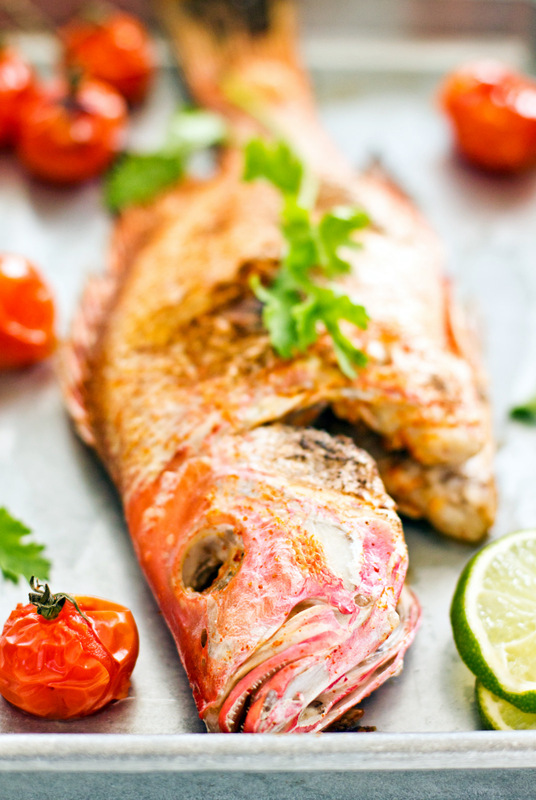 Loved the snapper.Easy & perfect meal for extreme heat conditions over here. Get well soon Sukaina and enjoy your stay at Mom's place. Your post brought back those old memories and Red snapper is one of my childhood favorites. A nice story with great photographs! One of my favorite fish. I love to grill it in a tandoori marinade. Looks delicious. I hope you are feeling better Sukaina. I am so happy to hear that you are my African Sister. I am also glad that you posted this because I have been lurking around never commenting. Your story reminds me so much of how life was growing up back home and the snapper makes me so hungry right now. beautiful post! I love the set of photos, too :). Hope you are having a great time at home. Enjoy! In that first photo, I love how the wood in the left corner looks a little like waves. Very clever. We love seafood delights. The snapper looks catchy for the fish lover. Now Mr Rayment ex wife Kelly has spoken out in support of Ms Longstaff, telling British tabloid The Mirror: I was on a ship with him I would get off any way I could. Rayment, 38, said she had been married to the 43 year old electrician for one year before the couple moved to Spain but they argued constantly and split soon after. Wanting to smile about surviving but not sure if the people around you are ready, as the world mourns the victims killed and viciously slain,I feel guilty about screaming about my legs and pain.Because I could feel nothingLike the other 49, who weren so lucky to feel this pain of mine. Back then, the biggest name in urban bicycles was Schwinn, the preferred secondhand bike brand of school bullies everywhere. The company had gotten so big worldwide that it needed to outsource some of its manufacturing to third party Asian firms. Giant put in a bid, and Schwinn decided to take a chance on this ironically named small timer. They thought so little of Giant's business prowess that they didn't even bother taking equity in the firm. And to be as efficient as possible, Schwinn Cheap Cosplay Wigs provided Lace Front Wigs Cosplay them with all of the manufacturing and distribution techniques the big company had spent decades developing. All that was missing was Schwinn offering to sharpen Giant's knives for them. Don't load up your plate with the first yummy looking items you see at the buffet. "Instead, do a once over of the food options to plan out what exactly you want to spend your 'calorie salary' on," says Murphy. "Decide what foods you really want to eat, and forget the rest." An easy way to make sure you get the good stuff: Fill up half your plate Black Cosplay Wig with veggies or salad and then use the other half for small portions of indulgent treats.